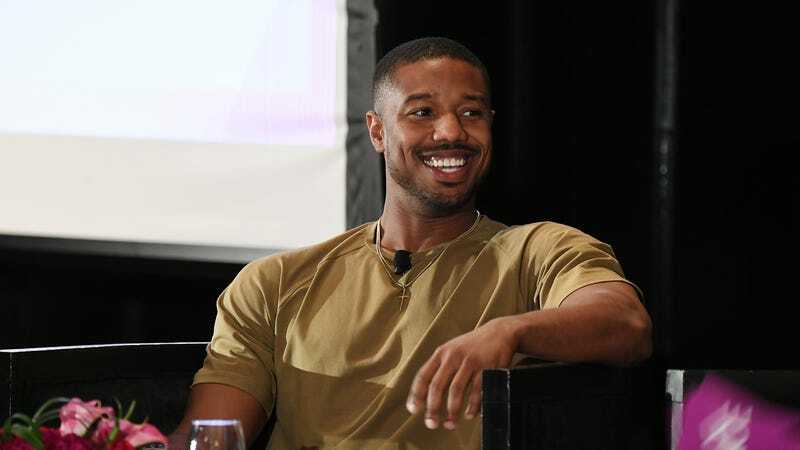 In what we can only assume is simply the next step in a longer scheme to make poor John Krasinski feel existentially inadequate, Michael B. Jordan is getting into the Tom Clancy action hero game. Variety reports that Jordan has just signed on to star in a series of film adaptations of the military techno-fetishist’s beloved doorstoopers, and while he won’t be playing iconic Clancy hero Jack Ryan—instead stepping into the shoes of fellow “two first names jammed together” badass John Clark—that’s still the kind of retainer-shattering comparison nobody really wants to invite. Specifically, Jordan is set to star in Without Remorse, a movie version of Clancy’s 1993 thriller that serves as an origin story for Clark, a former Navy SEAL and eventual CIA operative serving in the Vietnam War. Provided the first film is a success, Jordan will then roll forward into an adaptation of Rainbow Six, Clancy’s novelization of the first game in the well-received tactical shooter franchise. Akiva Goldsman is set to produce; meanwhile, it’s worth noting that past versions of the character have been played by Willem Dafoe and Liev Schrieber, so, you know: Things are kind of looking up for ol’ John Clark.